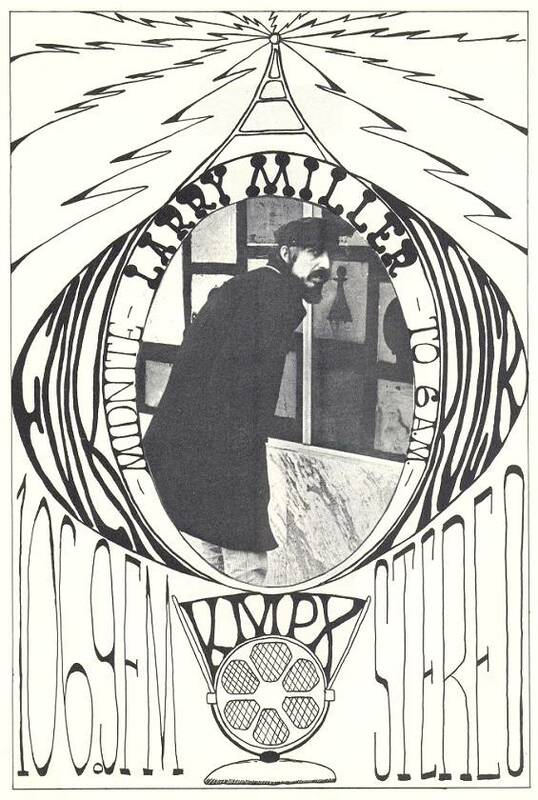 MIDNIGHT-6AM on KMPX-FM, San Francisco. that inspired 2,200+ FM Stations to spread the Revolution. You don't ever need to be Hip. made you feel every day. folk boogie Hendrix Stones Doors. All album cuts -- all the time! the way it was presented: THE FORMAT. songs flowed (segued) into each other. because the music was programmed. Not just played like a jukebox. It was the Top 40,000! without a single word or ad. spots that ran 2-4 minutes each! who just didn't fit into the flow. Yep. FM profits still soared Underground. were successfully spawned across America. and nights of musical magic. But nobody knows about it today. birth of the Media Mega-Mergers. the fewer risks they take. Who Did Underground Radio Best? Whichever DeeJay at whatever Station you listened to. so you can experience Underground Radio for yourself. THAT'S RIGHT.... A FILM. ABOUT RADIO. YOU WILL WANT TO SEE THIS DOCUMENTARY FIRST BROADCAST 29 YEARS AGO! and began to break it up piecemeal for sale. when they experienced "creative accounting"
that said the band lost money on a Gold Album! Greed ran rampant across the radio dial. in the Top Markets costs $35-$90 million! when that ol' demon television brought us MTV. Video destroys the m-agination in music. you'll agree the pendulum of boredom has swung too far to the right. You'll agree MTV is that loud Top-40 jukebox monopoly -- like AM Radio. to forever change the way people watch their music! different. What we have today is the FAILURE of the Music Industry to cope. It's is going to happen. oh yes. Execs to come visit these Pages.